Read our helpful guide to second hand BMW 760. AA Cars works closely with thousands of UK used car dealers to bring you one of the largest selections of BMW 760 cars on the market. You can also browse BMW dealers to find a second hand car close to you today. All used BMW 760 on the AA Cars website come with free 12 months breakdown cover. The BMW 760 is the largest and most powerful model 7 Series there is. 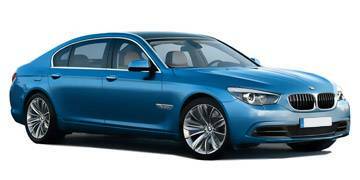 Which, considering that the 7 Series is at the top of the manufacturer's range, hints at its impressive size and scale. The engine under the bonnet is the same as can be found in the Rolls-Royce Ghost, and so is a sizeable, incredibly powerful 6.0 litre, V12 with 48 valves. A limited top speed of 155mph and a 0-60mph sprint time of under five seconds - in car of its size - shows its powerful credentials, but inside it is calm and composed and every bit the cruising car it is meant to be.The superior performance and luxury does mean that the 760 is BMW's most expensive production road car, but considering what it offers, it is hard to argue that it isn't worth it.